As you oooo and ahhh over all the beautiful fabrics on our website you might never think about how it got to this point online. 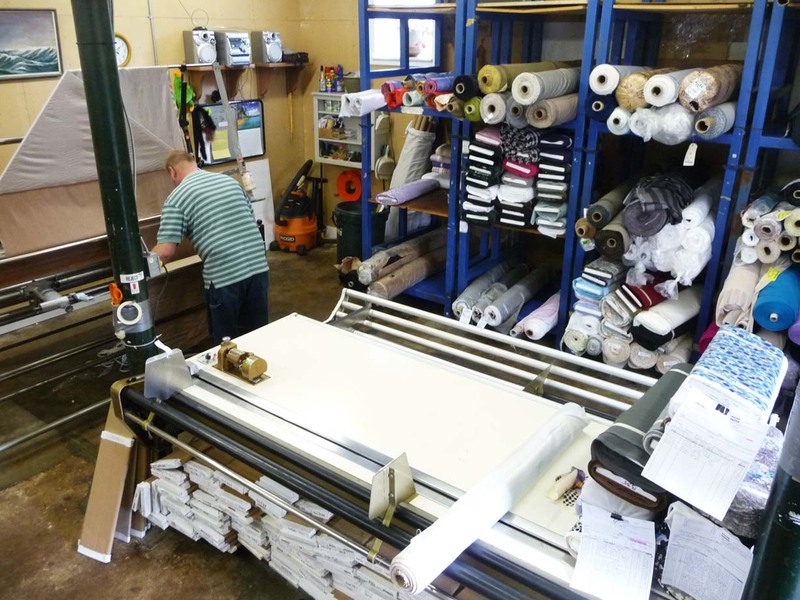 It takes a lot of time and care to buy the fabric, prepare it for the site and post it online for all of our customers to see. You've met the buyers but now it is time to meet the warehouse staff who play a critical part in preparing our fabrics for the cutters to fulfill your orders. 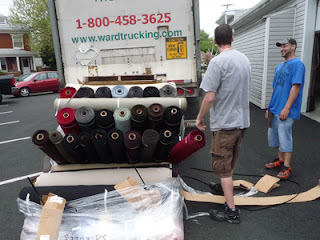 They unload the trucks, sort the fabric, sample it, measure it, roll it onto bolts and put it in its temporary resting place until it gets sent to a cozy spot in your house to be made into a gorgeous garment for your lifestyle. Around Fabric Mart they are known as "The Guys." There are not too many guys that work at Fabric Mart but they have a VERY important job that cannot be overlooked. So here are....The Guys! Brett is our Inventory Control Manager. He assigns the fabric item numbers and locations and takes one bolt of each fabric to our description/photography studio. He also makes sure that the fabric inventory is correct. Plus he even helps unload trucks and sort fabric among other necessary tasks that help us run efficiently. Ted is our bolter. His job is very important because he is the one who makes the fabric easier to handle. Ted uses a bolting machine to fold the fabric onto the bolt and cut a 50 yard roll down to smaller, more manageable pieces for the cutters. 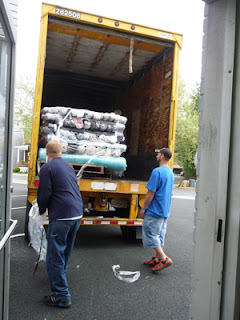 Ted also helps unload trucks to bring the fabric one step closer to your door step. Jason pulls and processes wholesale orders. He also organizes and tags new fabrics. He also rolls fabric for the website that cannot be bolted and helps unload trucks full of fabric! When we are very overloaded, he also runs our second bolting machine. Brett: It is very busy. I keep the inventory up-to-date and check on low yardage counts. Also help where needed. Jason: Depends on which day you're talking about. Ted: Bolt fabric, load/unload trucks, move fabric. What do you do when you leave work? Brett: I don't drink coffee, I drink Gatorade. Jason: French Vanilla and a lot of sugar. Brett:When things work out the way they are suppose to. If you were stranded on a deserted island, who from Fabric Mart would you take? Jason: I'd take everyone and turn it into a party!